La Paz was not a destination that had been on my radar screen. There are several other locations in Mexico that we plan to visit, but when some friends asked if we’d like to join them in southern Baja for a week, we said “yes” (“yes” being our favorite word now that we’ve retired). Although we were headed for a resort a few miles from the city, I knew that my husband and I wouldn’t be satisfied staying in the cocoon of the compound. We wanted to explore the surrounding area, especially the city of La Paz. 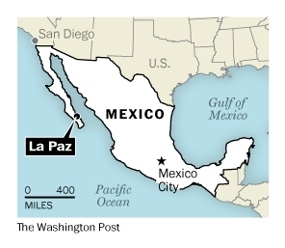 La Paz, which translates to “The Peace,” is located close to the southern tip of the Baja Peninsula. With about 250,000 inhabitants, La Paz is the capital of the state of Baja California Sur. Because it is located on the coast of the Sea of Cortez, La Paz is known for water-centric activities like swimming fishing, sailing, snorkeling, diving, whale-watching, and kayaking. The city of La Paz has a nostalgic and provincial atmosphere, with a laid-back lifestyle, friendly residents, and wonderful cuisine. 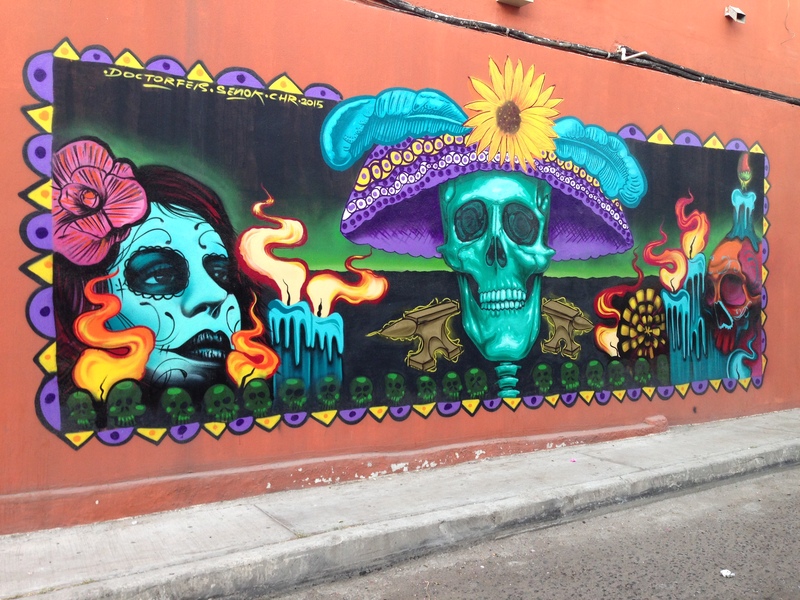 What my research didn’t tell me about was La Paz’s rich and ubiquitous art scene. As I walked around the city, I was thrilled to find richly colorful murals, whimsical sculptures, and small pocket parks that not only offered quiet places to relax in the shade, but also beautiful and thoughtful design. The weather was perfect, the sea a tranquil mixture of turquoise and deep blues, and the resort where we stayed was gorgeous, but it’s the city of La Paz and its art that will bring me back some day. what???? I didn’t realize WordPress limits photos. So far, I haven’t bumped up against that limit. Well, I wouldn’t be surprised if it was operator error, but all of a sudden I reached the bottom and could add nothing further. WordPress seems to automatically go between the old and the new… I start out with the old, but if I make edits (which I always do), it switches to the new. Phooey is right! OMG! So good! “They” are predicting 60 tomorrow but that’s very unseasonably and won’t last. What a wonderful trip! Thanks for sharing your pictures? May I ask what resort you stayed at? I’m thinking I might need to add La Paz to the list, because your post really piqued my interest! We stayed at the Costabaja resort. We got our package deal (airfare and hotel) through Expedia. If you do decide to go (and, I hope you do! ), feel free to contact me for more info and tips. Yikes! Rain until June… ugh. I tried to find out more about these murals (spontaneous works by the artists? Government funded?) but I couldn’t. 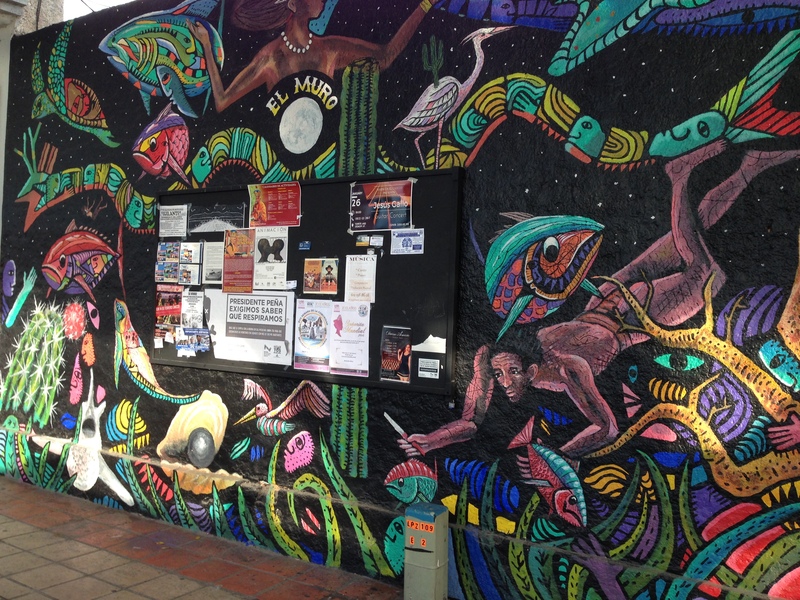 I know my home town has quite a few murals downtown… I need to grab my camera and go! Very cool. Thanks for sharing this piece of your visit. Thanks Keith! I’ll post a few pictures of the sculptures soon… really nice! Muchas gracias amiga. Did you see the Pope at the airport? You are right! If I had stayed along the main “drag,” I would have missed many of the art works! Looks like a great trip, Janis! PS – Good to know about the WordPress photo limit. Never been to La Paz, but it looks beautiful. My favorite place in Mexico is Cozumel, and I do hope to get back there someday. I look forward to your next installment. I’ve not been to Cozumel. Perhaps I’ll add that to my bucket list! Beautiful photos, Janis! I found La Paz to very quaint and laid back as well. Just think, just 40 minutes south of there are towns like La Ventana that cater to windsurfers and kiters from November to April. I need to spend more time in LaPaz next time! 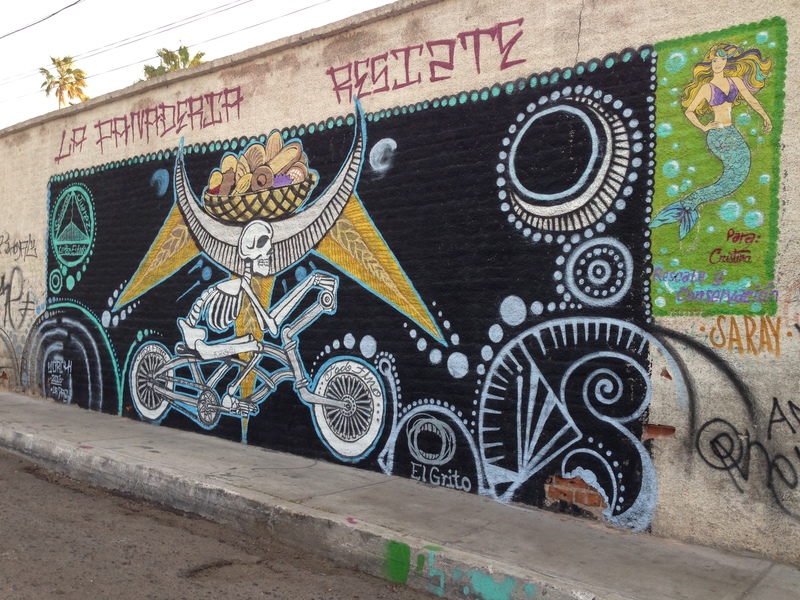 La Paz felt like a “real” Mexican town, not one that caters strictly to tourists like Cabo. We got down to Todos Santos for a day, but my impression is that it has lost a lot of it’s original charm too. I agree! There are a lot of images of skeletons since Dia de los Muertos – Day of the Dead – is celebrated throughout the country. I’ve never been in Mexico during the celebration (November 1 and 2), but I hope to be one of these days. I hear that it is fabulous! Love the colors and the whimsical quality of this art! La Paz looks like my kind of place. I’m looking forward to the next installment, Janis. The art was a complete surprise! 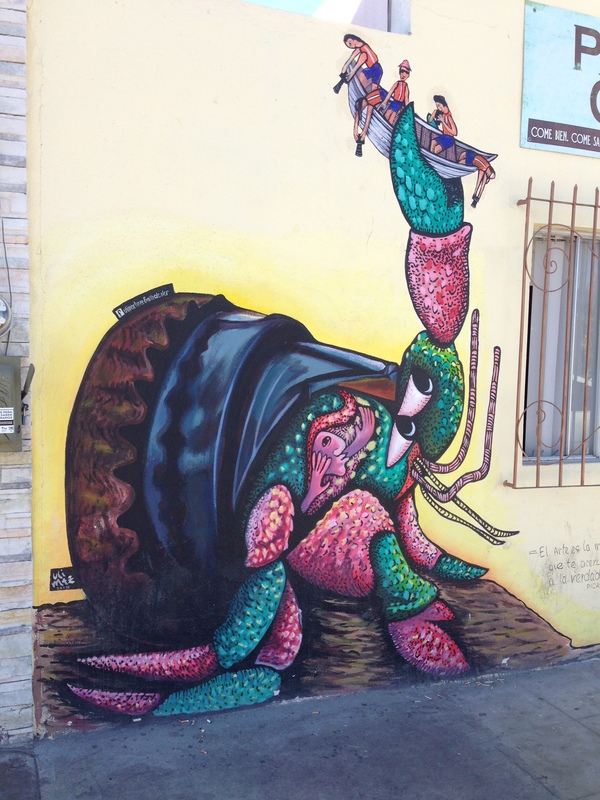 I knew the buildings would be colorful – they always are in Mexico, but the colorful murals were such a treat. Rockin murals Janis! I so want to sail to La Paz. Next time around. There were a lot of beautiful boats docked in the marinas! We met several travelers who come every year for several months and just live on their boats. Nice.